The Peak is our garden style 1 bedroom apartment in Westfield, MA. Enjoy a fully applianced eat-in kitchen that comes stacked with a breakfast bar and tons of cabinets and counter space! 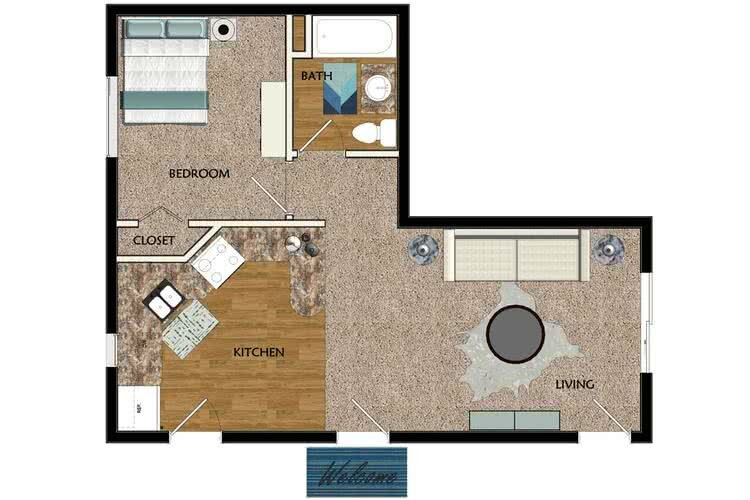 Our kitchens open right up to large living area that features sliding glass doors to your own patio with picnic table.